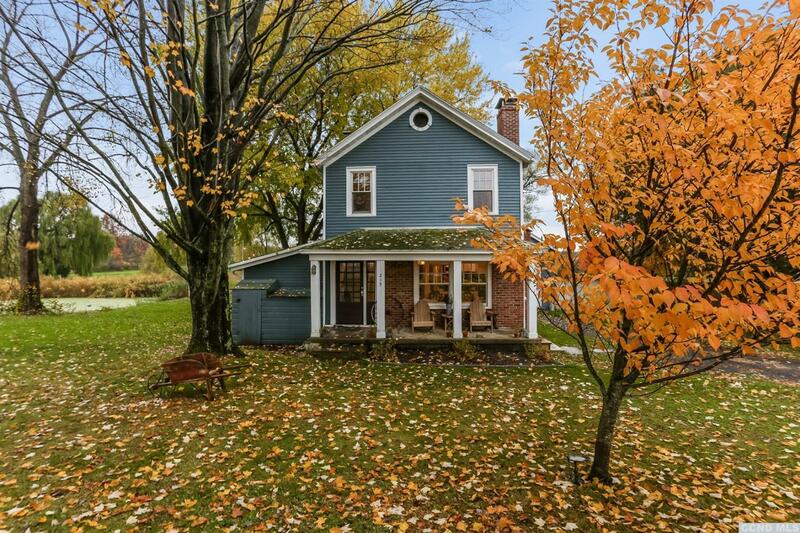 Rare opportunity to acquire light filled 1920's farmhouse with Catskill and pond views equidistant to Germantown or Tivoli-Bard College. Expansive open floorplan on first floor with wood burning fireplace and hardwood floors. 2/3BR, 2BA. Utterly charming in every way in trend setting Columbia County. Mature Trees. Mini Farm Vibe.